MGKF recognizes the need to promote and embrace diversity in the areas of race, ethnicity, gender, age, mental/physical abilities, and sexual orientation. One-third of our partners are female and one third of all firm lawyers are female, two of whom are members of a minority group. Partner Shoshana (Suzanne Ilene) Schiller received a 2017 Diversity Award from the Diversity Law Institute (DLI) at the Diversity Law Institute Summit & Awards in Philadelphia. DLI Diversity Awards are given annually to a select number of individuals, law firms and companies who have at an elite level promoted, enhanced or supported diversity and inclusion in the profession of law. MGKF is a proud member of the Philadelphia Diversity Law Group. Further, to demonstrate our support of diversity initiatives, we have endorsed as firm policy the Statement of Diversity Principles adopted by the American Bar Association. The firm established a Diversity Committee in 2011. The team is comprised of one of the firm's founding partners, the Managing Partner, as well as three other partners (1 male and 2 female). 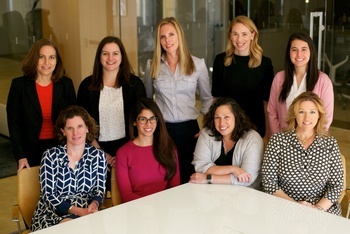 A female partner heads our Hiring Committee, which is committed to implementing proactive steps to reach out to minority candidates, particularly in our recruiting efforts at law schools. Given MGKF’s prominence in the fields of environmental and energy law, MGKF strives to promote diversity for the historically under-represented in these rapidly growing fields.